Monarch Air Group provides private air charter in Naperville, IL. Our clients benefit from top-notch service, unrelenting dedication to safety, wide selection of aircraft, and years of experience in chartering private jets. To obtain a free quote, please use our online quoting tool provided below, or call toll free 1-877-281-3051. Monarch Air Group provides private jet charter flights in and out of Naperville, Illinois, USA. Naperville is a city in northeastern Illinois, west of Chicago. In 2006 the city was voted by Money magazine as the 2nd best place to live in the United States. 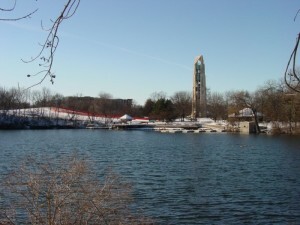 With a population of about 141,857 people, Naperville is the 5th largest city in the state. It is a home to numerous popular restaurants, retailers and shopping centers including downtown Naperville, Springbrook Prairie Pavilion, Freedom Commons, and the Route 59 and Ogden Avenue corridors. The most popular tourist attractions include Naperville Bites and Sites Food Tours, Dupage Children’s Museum, Riverwalk, Centennial Beach, Hollywood Palms Cinema, North Central College Fine & Performing Arts, Odyssey Fun World, and much more. The nearest airports are Chicago Midway International Airport (MDW / KMDW), which is located 26 miles from the city, and Chicago O’Hare International Airport (ORD / KORD), which is located 28 miles from Naperville. 1. AUZ, Municipal Airport, Aurora, United States. 2. CGX, Merrill C Meigs (closed), Chicago, United States. 3. CHI, Chicago FSS, Chicago, United States. 4. DPA, Dupage County, Chicago, United States. 5. ENW, Kenosha Regional Airport, Kenosha, United States. 6. GYY, Gary/Chicago International, Gary (IN), United States. 7. IKK, Greater Kankakee, Kankakee, United States. 8. JMH, Marriott Heliport, Schaumburg, United States. 9. JOT, Municipal, Joliet, United States. 10. LOT, Lewis Lockport, Lockport, United States. 11. MDW, Midway, Chicago, United States. 13. NBU, NAS, Glenview, United States. 14. ORD, Chicago O’hare International, Chicago, Il, United States. 15. PWK, Pal-Waukee, Chicago, United States. 16. RAC, Horlick, Racine, United States. 17. RFD, Greater Rockford Airport, Rockford, United States. 18. UGN, Memorial, Waukegan, United States. 19. VPZ, Porter County, Valparaiso, United States. 20. VYS, Illinois Valley Regnl, Peru, United States. 1. Hilton Lisle Naperville Hotel, 3003 Corporate West Drive, Lisle. 2. HOTEL ARISTA, 2139 City Gate Lane, Naperville. 3. Wyndham Lisle-Chicago, 3000 Warrenville Road, Lisle. 4. Hilton Lisle Naperville Hotel, 3003 Corporate West Drive, Lisle. 5. HOTEL ARISTA, 2139 City Gate Lane, Naperville. 6. Wyndham Lisle-Chicago, 3000 Warrenville Road, Lisle. 7. Hilton Lisle Naperville Hotel, 3003 Corporate West Drive, Lisle. 8. HOTEL ARISTA, 2139 City Gate Lane, Naperville.